Democratic presidential candidate Tulsi Gabbard says her top priorities if she's elected to the White House in 2020 would be to end military action in countries such as Iraq and Syria and to de-escalate tensions with nuclear-armed countries like Russia and China. The Hawai'i congresswoman told a diverse crowd of fewer than 100 people in Las Vegas on this afternoon that she wants to end what she called "wasteful regime change wars" that are costing the U.S. trillions of dollars. Gabbard has struggled to match the name recognition and fundraising of others in the crowded Democratic field such as Vermont Sen. Bernie Sanders and former Texas Rep. Beto O'Rourke. 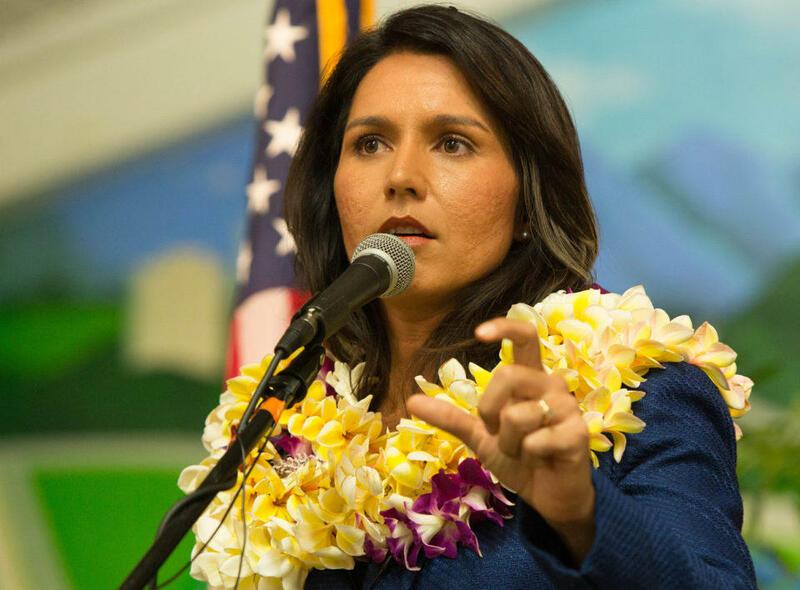 Gabbard, wearing a lei around her neck, preached a peaceful, at-times spiritual message, describing a "corruption of sprit casting a shadow over our country" and a need for people to recognize the suffering of others and to come together to make a change. The congresswoman said she also wants environmental protections, a reform of the criminal justice system including an end to the federal prohibition on marijuana and to pass a "Medicare for all" health care plan.